39 Ceres St. Portsmouth, NH. *Shipping: $36.00 Anywhere in U.S.
*A Special thanks to artist Don Demers for his incredibly generous gift donation of this stunning work of art. See Don's bio and website below. 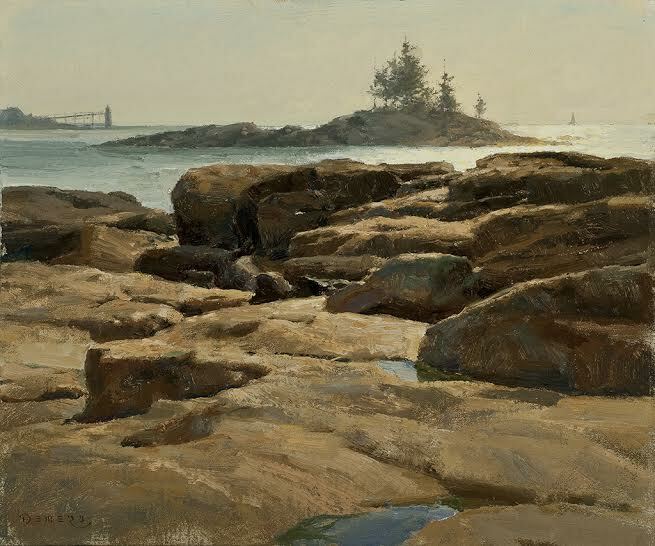 Demers’ paintings have been featured in a number of publications including American Artist magazine, Artist magazine, Plein Air magazine, Fine Art Connoisseur , Art and Antiques, Yachting magazine, Nautical Quarterly, Nautical World, Offshore magazine, and Maine Boats and Harbors. His work has also been featured and discussed in a number of texts including Concordia Yawls, The First Fifty Years, by Elizabeth Meyer, Marine Painting and Yachts on Canvas, both authored by James Taylor, of Greenwich, England. Yacht Portraits published by Sheridan House, A Gallery of Marine Art, Rockport Publishers, an instructional textbook titled Marine Painting, Techniques of Modern Masters published by Watson Guptill and Bound for Blue Water written by J. Russell Jinishian and published by Greenwich Workshop.Demers’ diversity has enabled him to apply his skills to clients ranging from American Airlines to the National Park Service. Various projects have included creating art for national television advertisements, educational television programming and designing art glass for Steuben.